A watch with a rectangular case, with rounded corners, featuring a glossy black dial. At first glance, it could be mistaken for a smartwatch on standby. But look a little closer, and it reveals itself to be a living watch, with a heart and soul: the Swiss Alp Watch Zzzz from H. Moser & Cie. 100% mechanical. 100% Swiss. In this watch, the now iconic model features neither indices nor logo on its dial, proving that true luxury is unmistakable, and immediately identifiable, even without obvious marketing. Looking like a smartwatch which is powered off or on standby, the Swiss Alp Watch Zzzz from H. Moser & Cie. cultivates this ambiguity in irreverent fashion. Behind its contemporary design lies a 100% mechanical watch. The black dial — stripped not just of any signature, but also of its indices — is strictly minimalist. On this model, there is no interface: the Swiss Alp Watch Zzzz is designed to display the time, something it does beautifully. Seemingly simple, it is anything but. At the heart of the Swiss Alp Watch Zzzz, the HMC 324 form movement beats with the rhythm of the balance wheel's rotations. 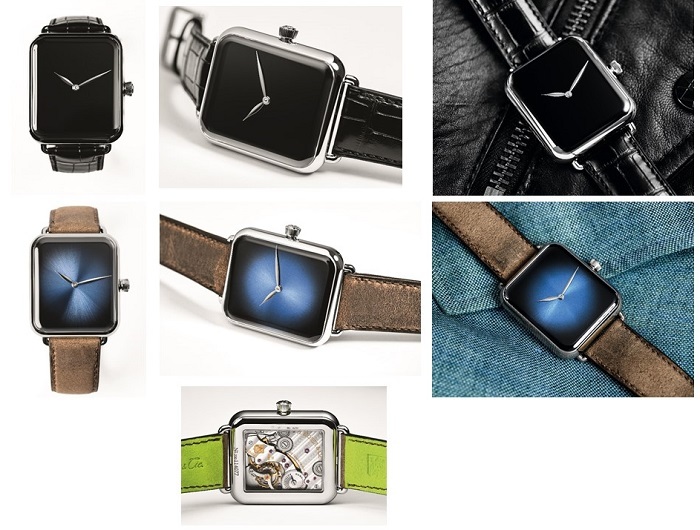 In response to the cold electronics of connected watches, H. Moser & Cie. presents the soul of mechanical watchmaking. With a minimum power reserve of 4 days, fully rechargeable by hand, it couldn't be further from the world of the smartwatch. Alongside the model with a black dial, H. Moser & Cie. is releasing a variation at the opposite end of the scale, featuring the striking and radiant Funky Blue dial; an example of watchmaking yin and yang. The Swiss Alp Watch Zzzz is available in a limited edition of 20 pieces of each of the two references. Engraved with "1 of 20"